Children with developmental disabilities face slightly greater risks than their mainstream peers, but for many of the same reasons. All children may assume competence long before they are able to deal with greater responsibility and adults can easily forget how vulnerable they are to poor impulse control and unfortunate decisions. Most children want to tag along with older siblings, emulate cartoon characters, or attempt adventures they've watched television or movie personalities explore with the help of a stuntman and special effects. Just when you are certain that your son or daughter will never have or act upon that type of impulse, something completely different happens. Because we work so much with children with developmental disabilities and are familiar with their skills through frequent evaluations and assessments, even their natural and developmentally appropriate risk taking behavior may come as a shock when we least expect it. Maybe it's not in our nature to have our destination be the same as our starting point, especially for children. Because children have a completely different perspective than adults, we can rarely predict when they will surprise us with what seem to them at the time to be good ideas. 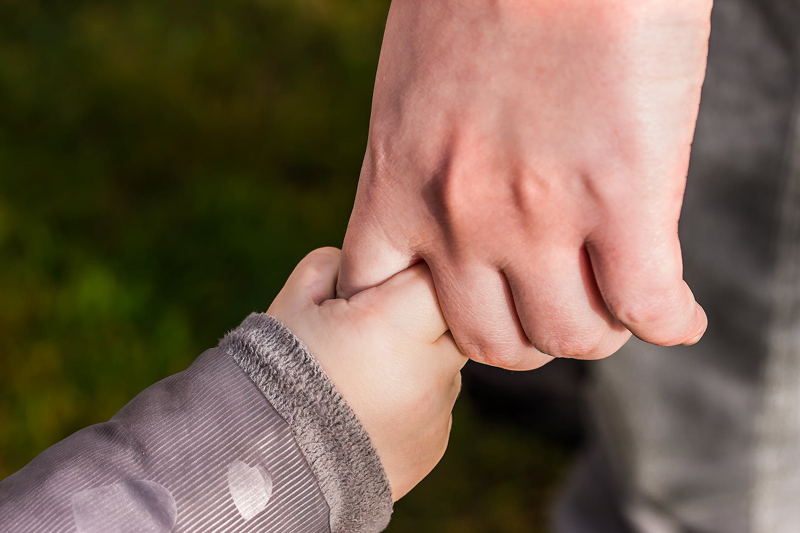 An article in Joan Medlen's eNewsletter, Disability Solutions, described strategies to minimize and respond to 'wandering' in children with Down syndrome. These have been incorporated into Down Syndrome Association of Queensland article. Most families of children with developmental disabilities would benefit from the advice available there. All parents want to reduce the risk of their children getting lost, especially in strange neighborhoods, shopping areas, at night and in bad weather; being too well aware of the dangers of parking lots and traffic, and the risk of adolescent punks misleading them or predators harming them. Families of mainstream children and teens may overestimate their children's potential to avoid or escape risky situations, and sometimes we rely on siblings to take on responsibilities that are beyond their understanding or capacity. The UIUC fact sheet explains that like their mainstream peers, children with developmental disabilities are at risk of being hurt due to lack of recognizing and avoiding dangerous situations. Children generally lack awareness of their surroundings when they are concentrating on play, have little impulse control, and are usually unaware that they can't react quickly enough to get away from dangerous situations or lack the physical strength and agility to save themselves. In emergencies they do not have adult problem solving skills that would help them to avoid injury and of course engage in 'magical thinking' that does not actually remove them from harm's way. Most children and teens have weak perceptions of risk and strong feelings of immortality. The fact sheet reminds us that mainstream children from ten to fifteen years old often appear to know safety rules and emergency procedures but most likely will be unable to call on those skills or knowledge in situations that are actually dangerous. It is important to share safety information with children, and have a plan in place for emergency situations that we talk about and practice with them. But the only strategy that works most of the time over the long haul is constant supervision and having a back up plan. Sometimes children get hurt or lost even when every precaution has been taken. Every parent makes mistakes but it is also devastating to know that 'if only' we could predict the future perfectly we could avoid all risk in our children's lives. We are only human. Most of the time our children do just fine when we are 'adequate' parents - it is mostly when they are hurt or we can't locate them that we are crushed by our unrealistic expectations of being perfect at just the right time. Your local police department or school PTA may have helpful resources, a lending library, or specific programs created to keep children safe, and procedures about responding to or preparing for emergencies.